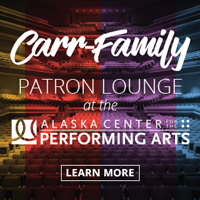 This policy covers how Alaska Center for the Performing Arts, Inc. (The Center), sometimes doing business as CenterMail and CenterTix, treats personal information collected and displayed on the official websites, www.myalaskacenter.com and www.centertix.net. The Center is committed to providing excellent service to all visitors of our websites, and respects the privacy of those who use these websites. The Center understands that some users may have questions about how this website collects and uses information that may be provided to us, and has prepared this statement to disclose our privacy policies and the principles that govern this website. The Center policies do not generally apply to the practices of companies that The Center does not own or control, or to people that The Center does not employ or manage. Accordingly, The Center is not responsible for the actions, quality, content, or privacy policies of other websites that may be linked to this website. This page describes current The Center practices, and may be updated from time to time if required by revisions to this website or The Center policy. The Center may send strictly service-related announcements to members, customers, or certain other users whenever it is necessary to do so. For instance, if certain services that you may use are temporarily suspended for maintenance or an event is cancelled, The Center might send you an email notification. Generally, you may not opt-out of receiving service-related communications, which are not promotional in nature. If you do not wish to receive them, you have the option to deactivate your account. The Center members may opt out from receiving email blast notifications and electronic newsletters. Please note, however, that members might still be contacted via email with specific account service-related matters unless explicitly requested not to through a CenterTix ticket seller or box office manager. Based upon your profile and the personally identifiable information you provide, The Center may send a welcoming email to verify your username and password. The Center will communicate with you in response to your inquiries, to provide the services you request, and to manage your account. We will communicate with you by email or telephone, in accordance with your wishes. The Center provides you the opportunity to ‘opt-out’ of having your personally identifiable information used for certain purposes, when we ask for this information. If you no longer wish to receive our newsletter and promotional communications, you may opt-out of receiving them by following the instructions included in each newsletter or communication, by sending an email request to centermail@alaskapac.org, calling 907-263-2723, or writing to the Systems/Web Manger, 621 W 6th Avenue, Anchorage, AK 99501. 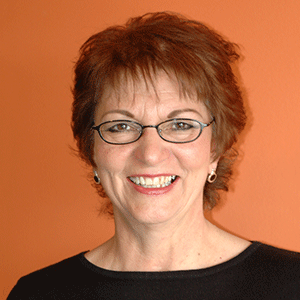 The Center is committed to keeping your personal information strictly confidential. Only The Center and the promoter of the event for which tickets are purchased retains your information. When purchasing tickets online or through our call center, the billing address of the credit card holder is required in order to run address verification during the credit card authorization process. If the address does not match the address on file with your financial institution, the purchase will be denied. When we collect additional personal information (i.e. telephone number, email address, etc.) it is in an effort to improve your shopping experience and to notify you about program updates, services and answer inquiries. Aside from the presenting organization for your event, our policy is not to disclose any of your personal information at any time, unless you tell us to do so. We do not sell or trade your personal information to third parties. The Center maintains a database of ticket purchasers which can be rented by CenterMail subscribers (comprised exclusively of performing arts event promoters) for purposes of mailing event announcements. From time to time, we'll share aggregated (collective) information about our members as a group, or generate aggregate reports and market research for business partners. The Center may share aggregated demographic information about the The Center patrons with The Center resident companies, promoters, and others in its sole discretion. This information does not identify individual users. We do not link aggregate user data with personally identifiable information. 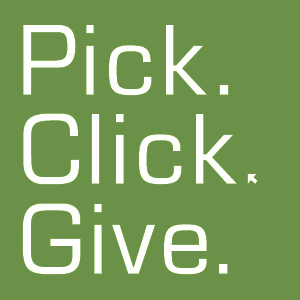 Organizations that we work with to promote arts in Anchorage, such as Anchorage Concert Association, Alaska Dance Theatre, etc., are typically given access to aggregated demographic information compiled by The Center. 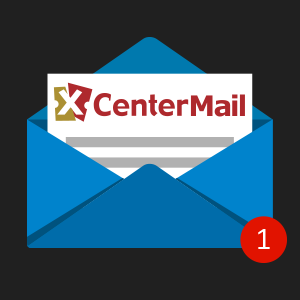 The Center will send communications to email addresses specified by CenterMail subscribers according to event-type criteria collected by Mailing List designations and/or previous patronage at similar events. The Center will not share email addresses directly with these subscribers, unless the patron has attended an event promoted by said subscriber. Personal information (excluding email addresses) collected by The Center will not be disclosed to any third parties at any time unless given expressed, explicit permission. Email subscribers will only receive the information they requested, and can change their email subscription preferences at any time. Any personal information collected by The Center will not be disclosed to any third party, except that The Center may make disclosures to appropriate law enforcement agencies as may be required or as may be deemed appropriate by The Center. Information will be given to law enforcement personnel without a subpoena or court order whenever necessary to aid in identifying and prosecuting any person using our services for illegal activities. 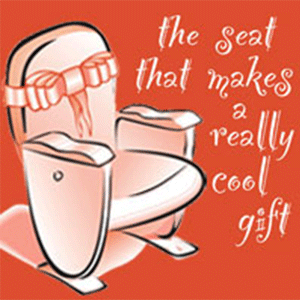 Promotions that are hosted on www.myalaskacenter.com or www.centertix.net may be co-sponsored by The Center and other companies, or may be sponsored by companies other than The Center. Some or all of the data collected during a promotion may be shared with such sponsors or others as may be identified on the applicable entry form. Whenever data is to be shared in this manner, notice will be given prior to the time of data collection or transfer. We use third parties to provide email distribution on this website. If you sign up to receive newsletters, we will share personally identifiable information such as your email address and name as may be necessary for the third party to provide the services you request. These third parties are prohibited from using your personally identifiable information for any other purpose. As is true of most websites, The Center gathers certain information automatically and stores it in log files in order to analyze trends, administer the website, track users’ movements around the site, and gather demographic information about our user base as a whole. This information includes internet protocol (IP) addresses, browser type, internet service provider (ISP), referring/exit pages, operating system, date/time stamp, and clickstream data. Information collected in this manner does not identify individual users, and The Center does not link this automatically-collected data to personally identifiable information. The Center uses "cookies" to gather non-personally identifiable information about visitors to our site in the aggregate (such as referring websites and whether users have previously visited the site, etc.) in order to track marketing effectiveness, analyze website use, and provide continual improvements for our users. The Center uses both session ID cookies and persistent cookies. We use session cookies to make it easier for you to navigate our site. A session ID cookie expires when you close you browser. A persistent cookie may remain on your hard drive for an extended period of time, in accordance with the parameters you may have selected when your Internet browser was installed or configured. You can remove persistent cookies by following directions provided in your Internet browser’s “help” file. The Center set a persistent cookie to store your passwords, so you don’t have to enter it more than once. 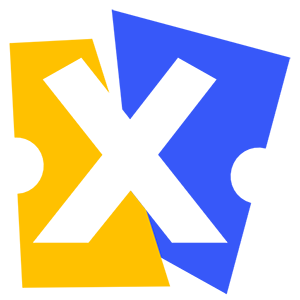 Persistent cookies also enable us to track and target the interests of our users to enhance their experience on our site. If your Internet browser has been configured to reject cookies, you may still use our site, but your ability to use some areas of this website, such as contests or surveys, will be limited. You may at any time modify or change any information you have previously provided to us. Changes will be updated immediately. You may also contact us at centermail@alaskapac.org and we will be happy to change, modify or delete any information for you. If your personally identifiable information changes, or if you no longer desire our service, you may correct, update, delete or deactivate it by making the change in the appropriate The Center patron account, online Mailing List, through an email communication, by sending a request to centermail@alaskapac.org, or writing to The Center Systems/Web Manger, 621 W 6th Avenue, Anchorage, AK 99501. The security of your personal information is important to The Center. Whenever we ask you to enter sensitive information (such as credit card numbers or identification numbers) on our website forms, such information is encrypted using secure socket layer technology (SSL). We follow generally accepted industry standards to protect the personal information submitted to us, both during transmission and after it has been received. No method of transmission over the Internet, or method of electronic storage, is 100% secure, however. Therefore, while The Center strives to protect personal information, we cannot ever guarantee its absolute security. Your password is your key to your account. You should never share it with anyone and we request that you change it periodically and often. You can change your password at any time by accessing My Account on our home page. If you can't remember your password, the reminder phrase you entered when you last changed or set-up your password will be e-mailed to you immediately. 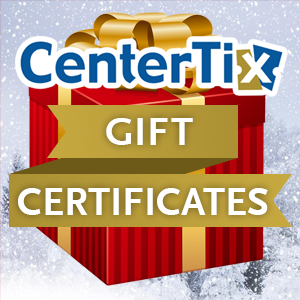 You may also contact us at centertix@alaskapac.org for additional help. We strongly urge you to sign off your account and close your browser window when you have finished your shopping to prevent someone else from accessing your account. If you have any questions about security on our website, you can send email to us at centermail@alaskapac.org, calling 907-263-2723, or writing to The Center Systems/Web Manger, 621 W 6th Avenue, Anchorage, AK 99501. The Center websites contain links to other sites. The Center is not responsible for the privacy practices, actions, quality or the content of such websites. Send any questions about this privacy statement, the practices of this website, or your dealings with this website, to centermail@alaskapac.org, calling 907-263-2723, or writing to The Center Systems/Web Manger, 621 W 6th Avenue, Anchorage, AK 99501.